Be a Living Link with Nesteam! Send Lee at Nesteam a Message! Nesteam International is Incorporated in the State of Oregon, and has status as a 501c3 public charity. Transforming people broken by the impacts of poverty, HIV-AIDS, malaria and the resulting turmoil in families has been the focus of Nesteam with its African partners in Zambia. We are on a journey. A Safari (Journey) to be a catalyst for proclaiming faith and healing, giving hope to those living in extreme circumstances in remote parts of Africa. Please browse our pages as we try and keep you updated on news, projects and outreach. We are committed to empowering nationals to make Christ known through ministries of evangelism, compassion, leadership training and building up communities to be transform ed in spirit and body! Container of Ministry supplies on the way to Zambia! On the 22nd of May 2018, a 40 foot container packed with supplies for the ministry needs of Mbala and Luswepo Christian Centers was sent off to board a ship to Africa! So many hands have touched this shipment of blessings. Thanks to you all! Estimated arrival, August 2018! June 2018 Update- Shipment of Blessings! Your shopping makes a difference. 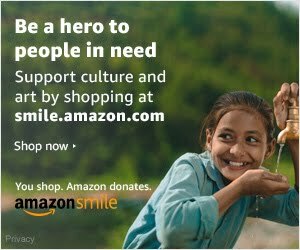 Do your regular Amazon shopping at smile.amazon.com/ch/20-4679619 and Amazon donates to Nesteam International.